David Ung is one of the most under-sung creative players of the modern era. His new video, Daydream, is the video we’ve been waiting for years to see from David…and it doesn’t disappoint. Amazing work from a gifted player. Here is a new yo-yo video shot in Los Angeles, CA with the occasional clip from San Diego, CA. I made “Daydream” to complement a video I made about five years ago called “Your Future’s With Us.” I tried to recreate a similar vibe but at the same time incorporate new ideas and a feeling of nostalgia. I lived in Southern California all my life and am moving to Seattle soon, so I wanted to make “Daydream” to celebrate what has been and to look forward to new opportunities. It’s still just a yo-yo video at the end of the day but I worked really hard on it and think it might be one of the best videos I’ve ever made. So please watch, share, and enjoy! 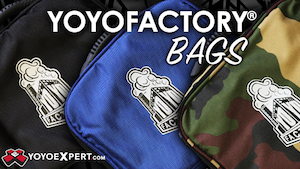 As always, thanks to YoYoFactory for all of their support over the years. The yo-yos used in the video are the YoYoFactory Shutter and Severe. The song used in the video is “40 Day Dream” by Edward Sharpe And The Magnetic Zeros. Special thanks to: Kevin, Henry, Priscilla, Davis, James, Kimberly, Sarah, Nat, and Candace. Shot on a Canon Rebel T3i. Colored using VSCO Film with Lightroom. 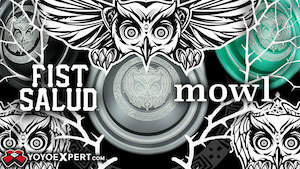 YoYoExpert has brought back one of the best deals around….a free YoYoFactory Severe with the purchase of a Supernova! Buy one signature model from World Champion Tyler Severance and get another for free. Supplies are limited, so jump on this quick before they’re all gone. The Severe will automatically be added to your cart with the Supernova purchase. Tyler Severance has a catalog of signature yoyos dating back to 2008. 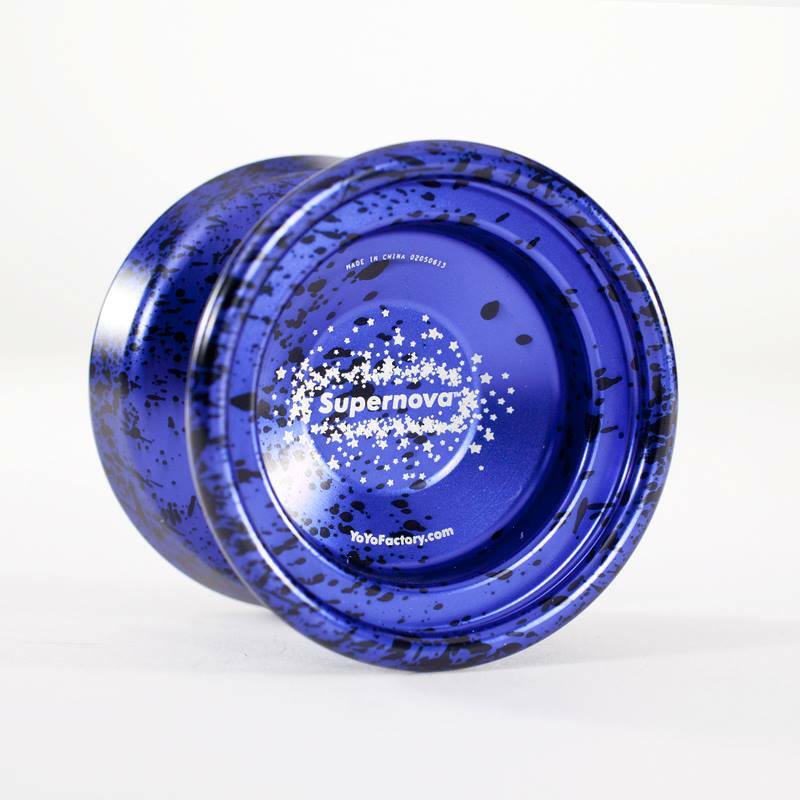 He is now on his 7th YoYoFactory model with the release of the NEW Supernova. Each yoyo offers indications of the evolutionary direction of Tyler’s play. Some of the design elements remain not fully explored offering room for improvement and refinement. The NEW Supernova captures the essence of these models again to bring a new playing experience to the line. Weighting has been a little more consolidated and brought out a touch to provide more stability reflecting a shift in Tyler’s play to longer combos and more horizontal play. The rim shape looks more like the 2010 Severe than the later Supernovas, and the drop off from the bearing is the most prominent it has been since the 2009 editions with no wall really needed for control thanks to the weight distribution. Standard configuration has it coming with a SPEC X, while not Tyler’s choice for competition it is what he suggests for every day play. Rather than release colors, Tyler will be releasing Supernova in a series of themed editions, the first two will be available August 9 at select retailers with a full release scheduled later this August. Paul Han, Vashek Kroutil, Harold Owens III and John Ando all throw down on visits to YoYofactory’s home state, Arizona. Harold Owens III using: H.O.T. Ryan McDonnell never disappoints, and his newest video is another perfect combination of filming, editing, post-production and, oh yeah, some baller yoyo tricks. Yoyos used are the Yoyofactory H.O.T. and Severe. Tyler Severance and Harold Owens III give us the yoyo equivalent of a buddy cop movie in their new video, Severe vs HOT. All that’s missing is Harold saying “I’m too old for this $h*t” and Tyler jumping off a buildling. Amazing new talent Michal Zakrzewski is the newest player to join the YoYoFactory Contest Team. You might remember Michal from the Severe promo video he shot for YoYoFactory.pl, the Polish distributor for the brand. He also took 1st Place in the Winter Freestyle Competition and 6th Place at EYYC 2013. Michal is definitely a strong contest player and another great addition the YoYoFactory’s European team. Congratulations to Michal and YoYoFactory! If the fact that it’s an amazing yoyo, and easily one of the best plastic yoyo releases of the past 12 months, wasn’t enough to get you to buy a new Severe from YoYoFactory, this video should do the trick. 4x Czech National Champion and 2010 European Champion Vashek Kroutil trucks around Russia and shows off the new YoYoFactory Severe in this video. 2013 has proven to be a pretty incredible year for video releases already…keep ’em coming!